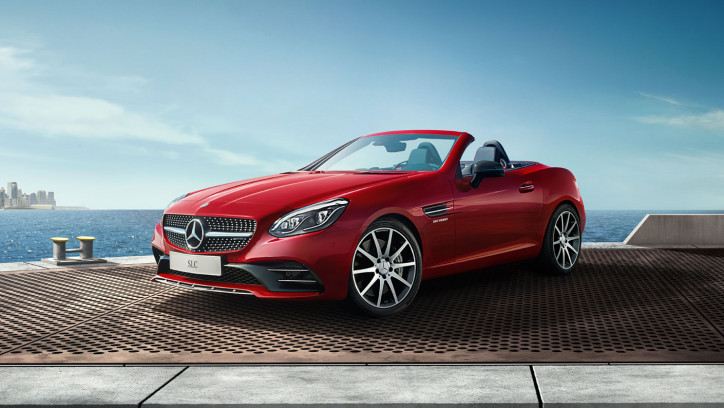 The low sales figures of the Mercedes-Benz SLC was recently confirmed by Daimler CEO Dieter Zetsche. This puts the future of the convertible in jeopardy. “These speciality cars have lost their share in our total portfolio,” Autocar quoted Zetsche. “For a particularly long time, China has led growth, and China shows little interest in cars such as these,” the Daimler boss added. “Our portfolio is not something defined for eternity. We revisit constantly, and that’s what we’re doing. Any decisions we will communicate in the future,” the Daimler boss further said. Although the SLC was not explicitly mentioned, he was clearly referring to the category where the convertible belongs. Ola Källenius, Mercedes’ head of development, stated that they are looking to make changes in their product line-up in the future. He pointed out that Mercedes has 20 years of expanding their portfolio without interruptions, and so far, they have more than 40 models in their line. Despite that, he explained that they will not hesitate to streamline their offerings in consideration to economics. Lastly, he said they are looking at the next 10 years, and they will adjust as the market dictates. Although the SLC was not specifically named, the low sales of the car may press Mercedes to either discontinue it or come up with revisions in the model that could attract buyers. The SLC is the rebadged SLK. The SLK was introduced in 1996 and it pioneered the trend for hard-top convertibles. The SLC Roadster starts at $48,400 in the US. It is available in SLC 300 and AMG SLC 43 guises.